I read this yesterday, and it's already starting to fade a bit from my memory, so I'm not sure what to say about it. I certainly liked it - the characters were fine and attractive, and their motivations were consistently reasonable (for the most part) and easy to relate to, and the writing was fine. It made for a nice afternoon's read, and I enjoyed my brief visit with this family. It's not particularly memorable, but it does its job, and is a good, easy read for fans of HQ SuperRomance. 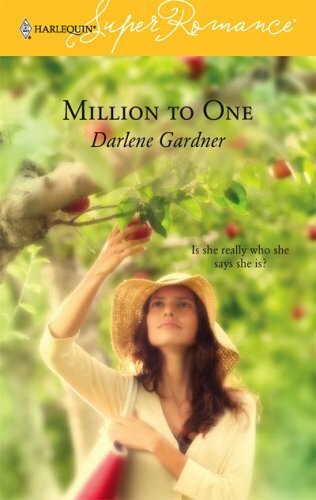 Darlene Gardner - Darlene Gardner left her life as a newspaper sportswriter behind for love and romance. She has more than 30 books in print, from single-title romantic comedies to emotionally charged family dramas. She’s currently self publishing updated editions from her backlist and working on a series of Young Adult romances with paranormal elements. That is, when she’s not playing tennis.